If there’s one thing I can eat year round, it’s definitely chocolate. But even more so during Valentine’s Day. In fact, the more chocolate, the better. 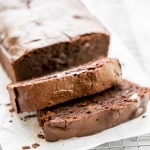 Which is why I am head over heels in love with this double chocolate loaf cake. It’s rich, intensely flavored, and a total show stopper served for dessert after dinner, alongside brunch or even as a mid-day snack! 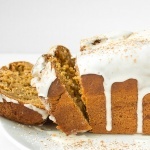 This loaf is dense and chewy like a carrot cake, but it tastes like you’re eating fudge. You can never go wrong with anything that resembles fudge. And the recipe is totally adaptable to whichever ingredients you have on hand. You could switch out the folded in chocolate chips for white chocolate chips, peanut butter chips, or even sprinkles! Chocolate funfetti loaf?! Um, sign me up please. And oh my god, if there are any leftovers, this would make the most killer french toast. Actually, I think that idea alone warrants making this recipe again… asap. If you are a chocolate lover, this one will not disappoint! 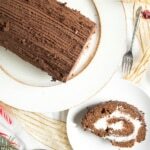 Double chocolate loaf cake is rich, intensely flavored, and a total show stopper this Valentine’s Day. It is dense and chewy, but it tastes like fudge! Preheat oven to 325 F. Line a standard loaf pan with parchment paper, then grease with baking spray. Sift together flour, sugar, cocoa powder, and baking powder into the bowl of a stand mixer. Add butter, eggs, vanilla, and yogurt, and beat slowly, turning the speed up as the ingredients begin to blend. Beat on medium high speed for 2-3 minutes, until fully blended and smooth. Turn the mixer off and add boiling water. Beat until completely incorporated and batter is smooth and shiny, about 2 minutes, scraping down the sides as needed. Fold in chocolate chunks or chocolate chips. 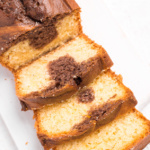 Pour into prepared loaf pan and bake for 55 minutes, or until a toothpick inserted into the center of the cake comes out with few to no crumbs. Let cool 10-15 minutes, then invert to remove loaf. Serve warm or at room temperature. That looks sooo good! Can’t wait to make it for brunch this weekend! Pre heating my oven now! I love that this uses whole wheat flour and greek yogurt to keep things lighter, and therefore I can eat it for breakfast. The texture of this loaf looks insane! So dense and fudgy, I need a slice immediately! Let me know when you’re making french toast too, I’ll be right over. Chocolate makes my world go round 🙂 . This loaf looks awesome! So chocolatey and fudgey. Oh, my word! I’m seriously drooling! 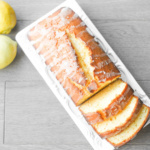 This cake looks to die for, and the idea of using any leftovers as French toast is genius! YUM!!! 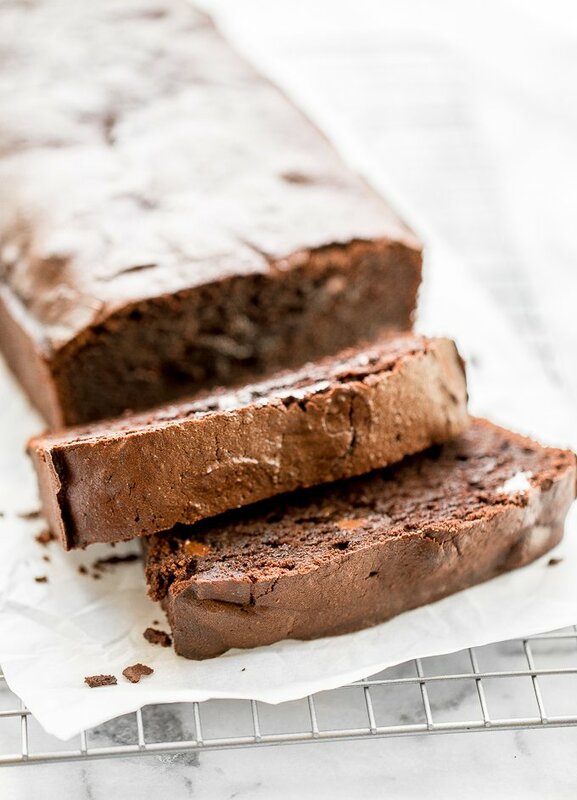 This chocolate loaf cake looks so delicious!! I make just have to make this today!! I agree, the more chocolate the better…and this cake looks super chocolaty! Doesn’t get much better than this! Yes, you have to give it a try! 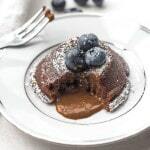 oh this looks so decadent and chocolatey! I don’t see how any could be left over for french toast, however making it french toast sounds AMAZING!!! OMG! This looks scrumptious! And I’m with you, there can never be enough chocolate! Love the idea of making this with the sprinkles for Valentine’s Day and, oh, that French Toast would be unbelievable.